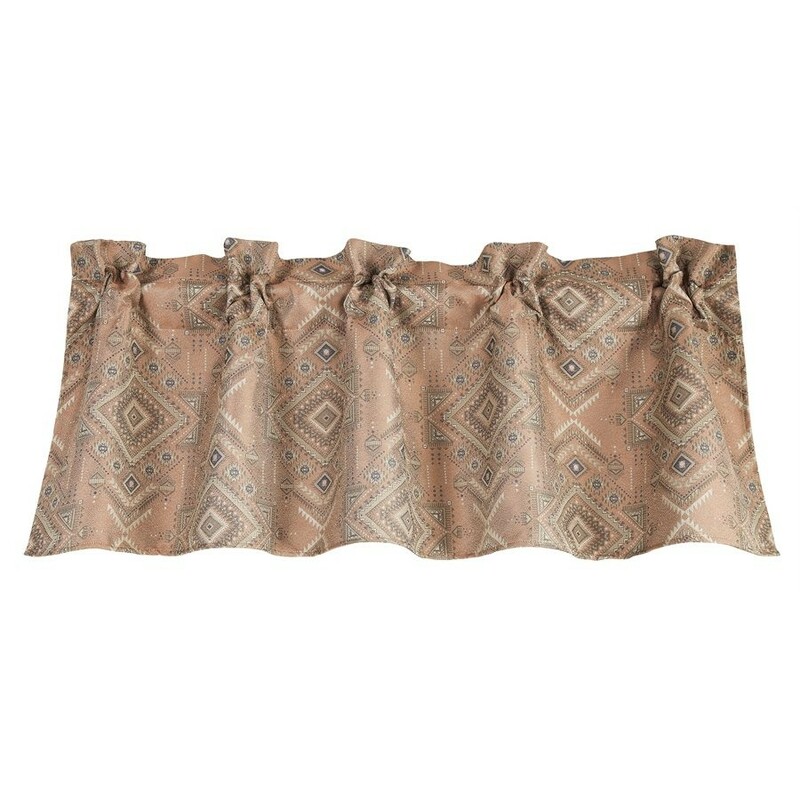 Sedona Valance has a rod pocket construction offers stylish and easy hanging. Shirr on 1" rod. Matching curtains sold separately. Measures 84" X 18". 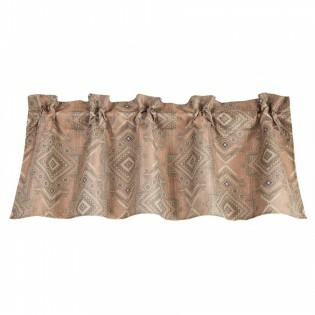 Rod pocket construction offers stylish and easy hanging. Shirr on 1" rod. Matching curtains sold separately. Measures 84" X 18". 100% polyester. Dry clean recommended. Imported.